<< Back Kerckhaert Fine Sliding Plate, Pride 1 in. 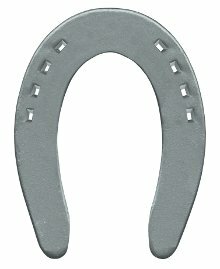 The Pride "Fine" series of sliding plates offers a choice for the farrier that prefers a finer punching pattern. 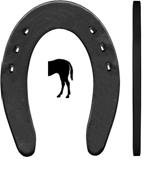 The series is available in a 1/4" x 1" stock size, with a very slight taper in the heel area. The nail pattern works best for a shoe fit that is very close to a perimeter fit, where the shoe is not set forward. Size 0 is punched for 6 nails; sizes 1 & 2 are punched for 8 nails.